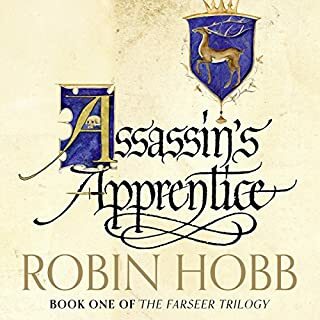 This was a thoroughly enjoyable return to my younger days and a genuine classic of the fantasy genre. It's the first of a three part series but reads very well as a book in its own right. That might be useful for anyone thinking 36 hours is commitment enough! The characters are well portrayed in not one but two richly detailed worlds as fate brings two very different civilizations into conflict. 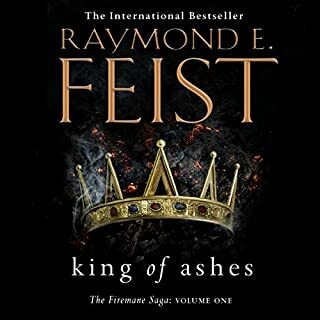 Highly recommended for anyone interested in the genre and Feist is more accessible that some of the authors that followed him. What didn’t you like about Peter Joyce’s performance? Mr Joyce makes incredibly strange choices in his reading. As another reviewer mentioned, I see no reason for his decision to pronounce "Arutha" as "Aruta". Nothing in the text or elsewhere suggests it. Then he seems to have decided not to distinguish between the various characters, just their races - most of the Midkemia men get more or less the same voices, as do the elves, the invaders from Kelewan etc. The only times he deviates from this, he chooses inappropriate voices (particularly Martin and Father Tully). And why did the voice he chose for the men have to be a rasping growl? How many people speak like that? It just sounds like somebody putting on a strange voice rather than the way someone would actually talk. I can see that he's attempting a kind of sing song quality for the elves, but... well... epic fail there. A good reader should distinguish between voices in a natural way. If a narrator is unable to think of a suitable accent, then it is better that he or she does nothing than something inappropriate. You only have to listen to Stephen Fry reading the Harry Potter novels for an example of how it should be done. Each character has their own 'voice', (a great achievement considering the number of characters), yet each one sounds completely natural. Masterly. Stephen Briggs is also brilliant in his readings of Terry Pratchett novels. What began to drive me mad though after a while (once I'd noticed it) was his habit of a long pause after saying "[someone] said". Why this huge pause? Continually during the course of ordinary dialogue, it was held up by an extra beat while we waited for what each character was going to say next. 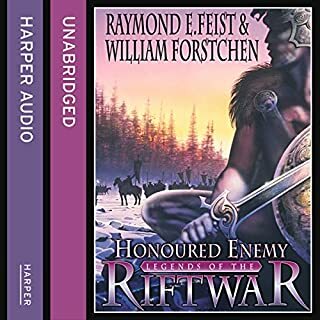 Having said all that, he did at least manage to sound relatively enthused by the whole thing, and Pug's and Tomas' voices were fine, so overall it remained an okay listen. It was just a shame that I had to struggle to screen out certain elements in order to enjoy it. Was Magician worth the listening time? 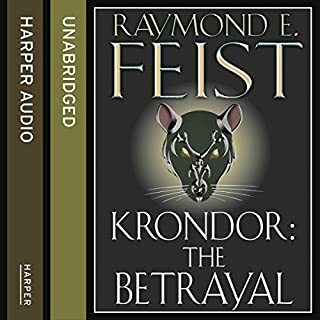 Due to the somewhat stilted narration, I'd head towards the kindle rather than audio version. Well worth the credit. 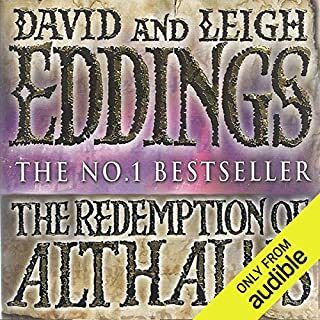 It is in fact book 1 and 2 of the series and is incredibly good value, at over 36 hours long. 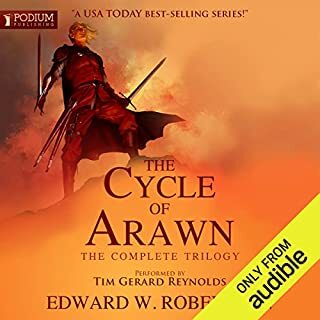 I would rate the story as five stars, have already purchased the available sequels and will come back and listen to one this again and again. 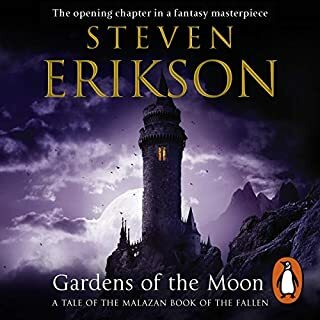 Without giving away more than in the synopsis, the initial story follows Pug a potential magician from the initial obscurity of being his keeps kitchen boy, to a journey spanning two beautifully realized and very different fantasy worlds. 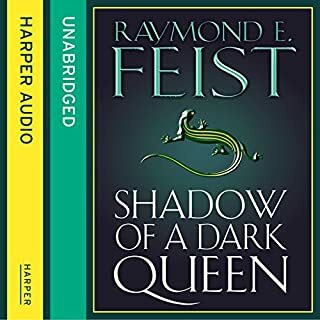 While there is quite a bit of action at the start of the story, I personally found it a little slow going at first, after the first dramatic sequence of events. 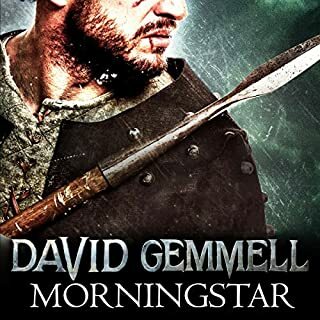 It is well worth having some patience with this story however, as you are gradually introduced to fascinating characters and varying cultures and races in this complex plot. 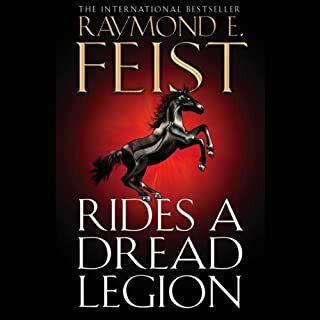 At first I thought the story was only going focus on Pug but as the novel goes on the story becomes even more interesting because it splits also following his companions on their own epic journeys. 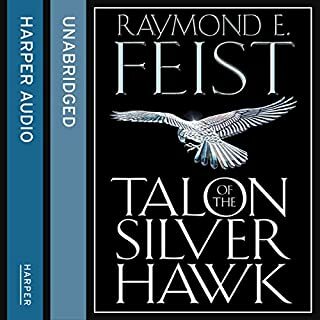 The only difficulty I had with the book was the narrator who to me was both a blessing and a curse. Peter Joyce has a pleasant if somewhat dry narrating voice and makes the story interesting by voicing the characters. He also disrupts the flow of the story by announcing he said in a dead pan voice then pausing, which is incredibly annoying and, in my opinion, gets the tone of voice wrong for many of the characters, like the elves. This is possibly the best book I have ever read. Brilliant characterisation, superb plot and paced in a way that leaves you desperate to keep turning the pages. 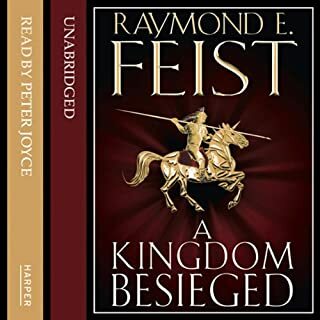 I was so looking forward to the audiobook but I had my reservations as I has come across the narrator Peter Joyce before.Now don't get me wrong the story is still brilliant and Joyce's reading is enough to keep you engaged, however his performance is average at best. His accents are virtually non existent and some of the pronunciations leave you perplexed - Arutha being pronounce as Aruta being the most obvious (and annoying)! Some of it might be because the narration doesn't match up to what I already had in my head. If you are approaching Magician for the first time It will leave you spellbound, otherwise be prepared for some frustrations but an otherwise okay re-telling of a fantastic story.Oh by the way another annoying thing was that it downloaded in one big chunk of 36 hours rather than being split into four or five pieces. Very frustrating if you accidentally skip forward on your iPod!!! What was one of the most memorable moments of Magician? There are so many but the one outstanding moment I would pick is Thomas striding into the clearing in Elvendar with madness in his eyes - the Valheru come again. What aspect of Peter Joyce’s performance might you have changed? His ability to define distinct characters is woefully lacking. Please think about a change of narrators. Borrics dying scene is well written - finally acknowledging Martin! I'll say it again. Please change narrators. 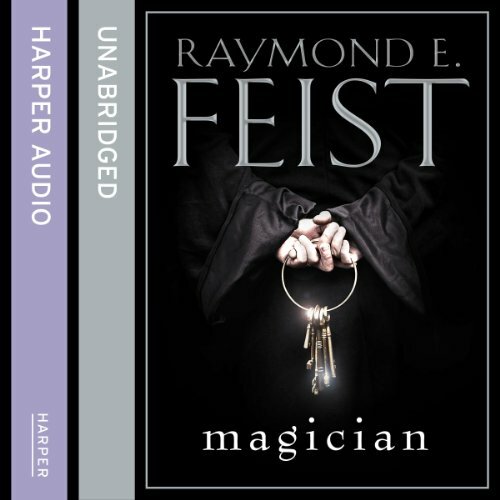 Would you consider the audio edition of Magician to be better than the print version? No, the written word is always better. 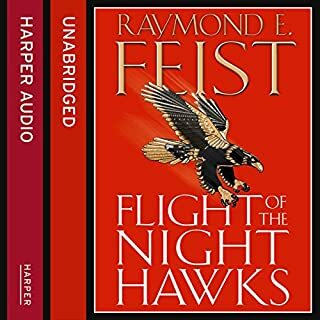 It's a fantastic story and the audio book is worth listening to but the narration did slightly spoil it for me. The pronunciation of certain words just didn't make sense. What other book might you compare Magician to, and why? Did Peter Joyce do a good job differentiating each of the characters? How? Nope way too long, but I did listen constantly over a week or so. What would have made Magician better? Would you be willing to try another one of Peter Joyce’s performances? been said by other reviewers Peter does not do a very good job of the dialogue, distracting is nicest thing I can say. ok but the names ... toemass and not tomas, hmm! Great in paper back, always has been a favourite, read many times but the pronunciation of some of the names was just more than a little off putting for me. If you could sum up Magician in three words, what would they be? 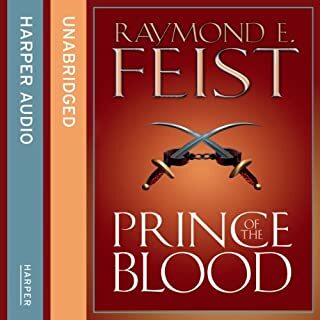 Please listen to this great first book in one of the greatest series you'll ever read or listen to. 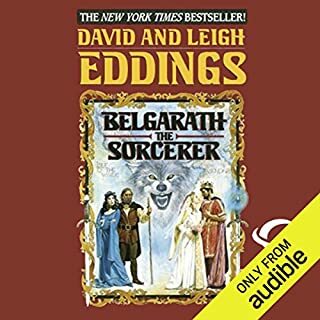 Where does Magician rank among all the audiobooks you’ve listened to so far? 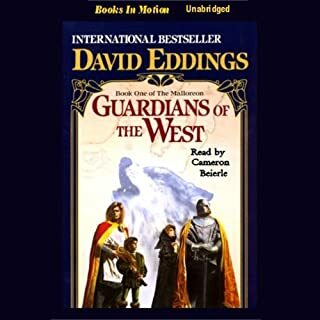 This is a really good rendition of the book I read many years ago, it is very long so you need to be sure you have the time but there are many threads and it is well worth it. but its bossible to turn up the pace. I used 1.10 speed and then listening was better. Ive read the book many, many times. Listening to it was such a pleasure. An excellent performance. A truly fantastic story uneccessarily sullied by a mostly shallow portrayal of women as vapid objects of desire. Cringeworthy in this regard at times, otherwise brilliant. Top performance by Peter Joyce. Narrator is not best suited to this book. The story is an old favourite but the narrator has limited ability to produce believable characters. I was still able to enjoy it as long as I know the story and characters well, and know what they should sound like. Peter Joyce does an incredible job reading one of my favourite childhood stories. Thank you Peter for your wonderful voice. The story is of course essential reading for fans of fantasy fiction. Amazing to hear the characters I fell in love with 3 decades ago. I am thrilled to have this story enriched with voices that capture the individuals and spin their stories onto the rich and complex tapestry that is Magician . Wow. Play that again please. 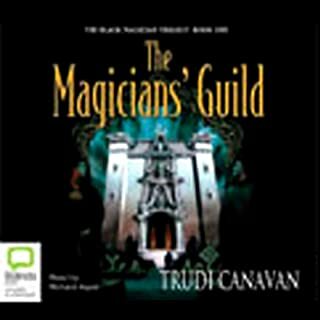 Magician is an epic story with great characters and intriguing plot. Such a shame the narration is so poor. 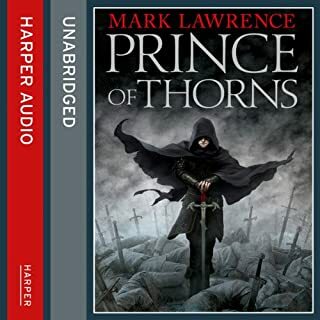 Narrator does not read with context in mind; does emotion poorly; makes teenagers sound like 70 year olds and learned men sound like farmers (though his accents are pretty good). Mistakes have not been corrected and the narrator's constant wet phlegmy voice is awful. If you can look past the dismal narration, it really is an excellent book. The story is fantastic! and the Audiobook is narrated well. Was a little strange to hear a South African accent thrown in there (Cook).